UAE-based Lootah Real Estate Development has announced the timely completion and handover of its latest project, the W10 Warehouses, part of Senaeyat‘, a pre-built modern industrial manufacturing developmentin Dubai. Located at Dubai Investment Park, the emerging real estate hub, W10 Warehouses will feature a series of prime warehouses, which include 24/7 maintenance and security systems, sufficient loading and unloading spaces and wide parking areas. One of the region’s prominent modern real estate developers, Lootah Real Estate said the warehouses, which are spread over a total area of 54,836 sq ft, offer 10 individual warehouse units ranging from 4,425 to 6,027 sq ft in size, plus 25 feet high buildings. Speaking at the W10 Warehouses handover ceremony, Executive Director Saleh Abdullah Lootah said: "We recognise the growing demand for working spaces, and we at Lootah Real-Estate Development aim to accommodate these requirements and provide cost-effective options for businesses without compromising excellence." 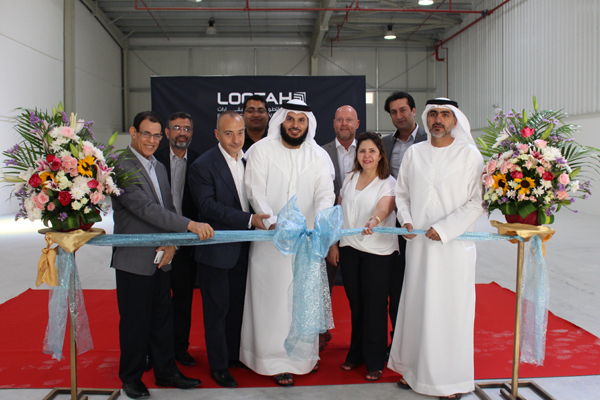 "This agreement with Dubai Industrial Park signifies an important step of Lootah Real Estate Development in entering the industrial market segment," stated Lootah.